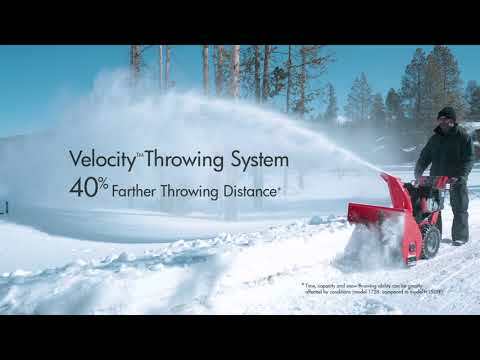 Quickly clears heavy snow and throws it 40% farther¹, making snow removal ¹Time, capacity and snow throwing ability can be greatly affected by conditions (model 2132 compared to model H1730E and model P2132 compared to P2132E). The rugged commercial-grade handles and control make this unit very durable and easy-to-use. A heavy-gauge steel serrated auger cuts through hard-packed snow delivering a top performance in harsh conditions. *Conditions will apply. See the operator manual or visit briggsandstratton.com for complete details. ****†MAP Price is Market Advertised Price. Prices vary by dealer. Taxes, freight, set-up and delivery not included.